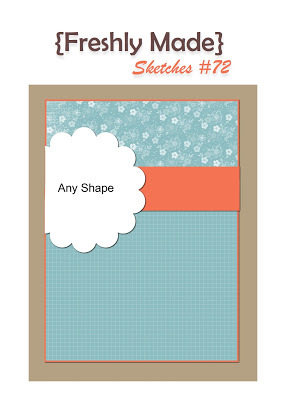 Make a project “using the Sketch”. Or Make a project with “Bunnies”. UPDATE: Yay, I received another Honorable Mention for this card! I’m so excited! 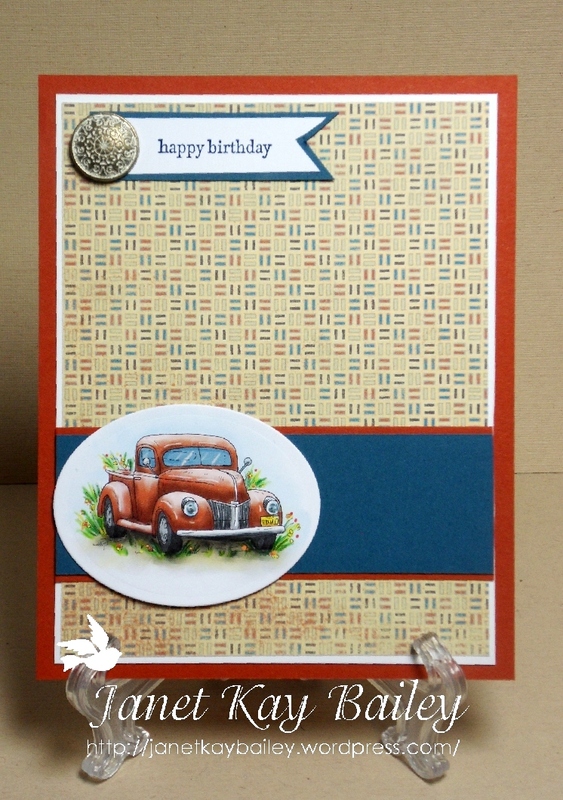 Tagged as Card Blog Challenges, Card Making, Digital cards, Fred She Said, Stampin' Up! If you have questions about supplies or technique, please feel free to ask! 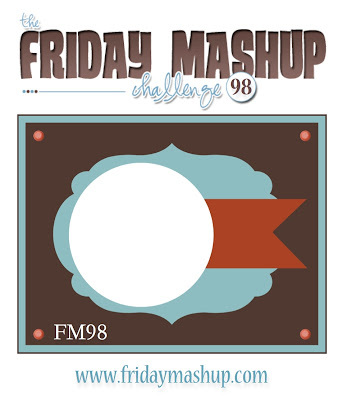 Filed under Challenges, Friday Mashup, Stampin' Up! 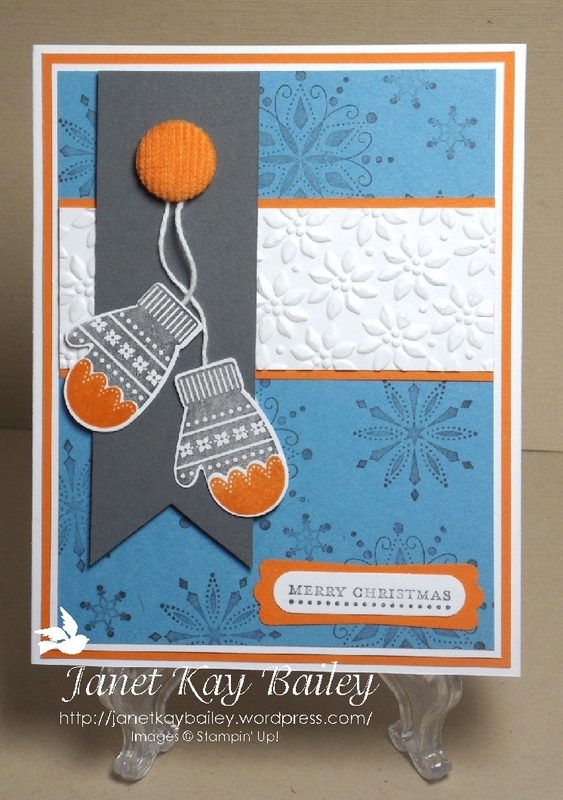 Tagged as Card Blog Challenges, Card Making, Digital cards, Stampin' Up! Fred She Said is having a Ground Hog Day Blog Hop. Tracey, from Fred She Said hails from Wiarton, Ontario, Canada, home of Wiarton Willie, the albino ground hog. Every February 2nd, Willie emerges from his den to predict whether or not we will have an early Spring. If he sees his shadow, he will become frightened and scurry back into his den, hailing 6 more weeks of winter. If he does not see his shadow, he will declare an EARLY SPRING woohoo! Tracey has asked the Fred She Said DT to make a card – either a “wintery” card ( if they think Willie will predict a LATE SPRING ) or a “Flowery or Spring” card ( if they think he will predict an EARLY SPRING ). 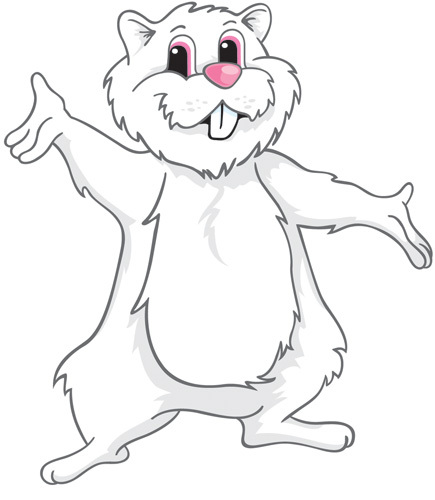 Your job, dear blog hopper, is to hop along and TALLY up how many DT thought it will be an EARLY SPRING and how many predict a LATE SPRING. Instructions on how to enter will be posted on the last stop at the FSS CHALLENGE BLOG. FRED SHE SAID also has a Ground Hog Day WEEKEND SALE COUPON! Why? Because I want one!! LOL When I started making cards for this Hop, it was 60 degrees (for those of you who don’t know, that’s very warm for January in Illinois, USA! ) But warm weather doesn’t last long here in Illinois. The very next day it snowed! Now it’s VERY cold!!!! This beautiful pre-colored digital image made me think of standing on a hill in the Spring with the warm breeze blowing though my hair:) If you go here, you can find the free digital background, just scroll down a bit:) The image of Emma is called, Emma and the Butterfly. I asked Tracey for the PNG version so I could add it to the background. I printed two Emmas, cut one out and popped up the dress and butterfly. 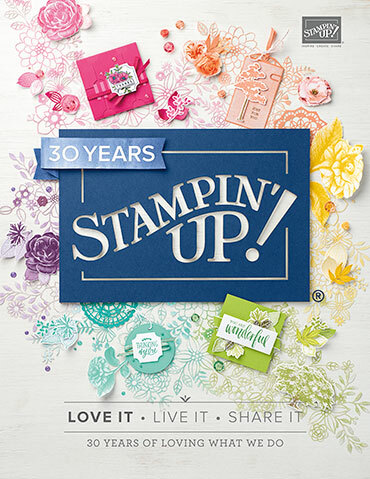 The white embossed frame is from Stampin’ Up! 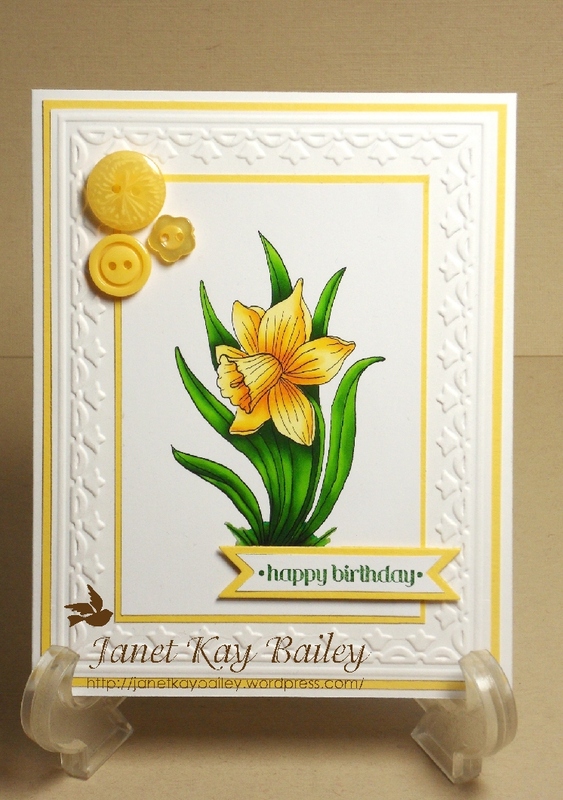 called, the Framed Tulip Embossing Folder, one of my favorites! The sentiment is from the retired set, Easter Blossoms. 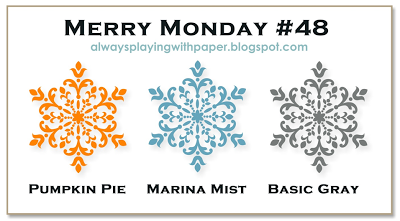 I love this set, but having recently moved, I still can’t find it so I popped over to my Stampin’ Up! 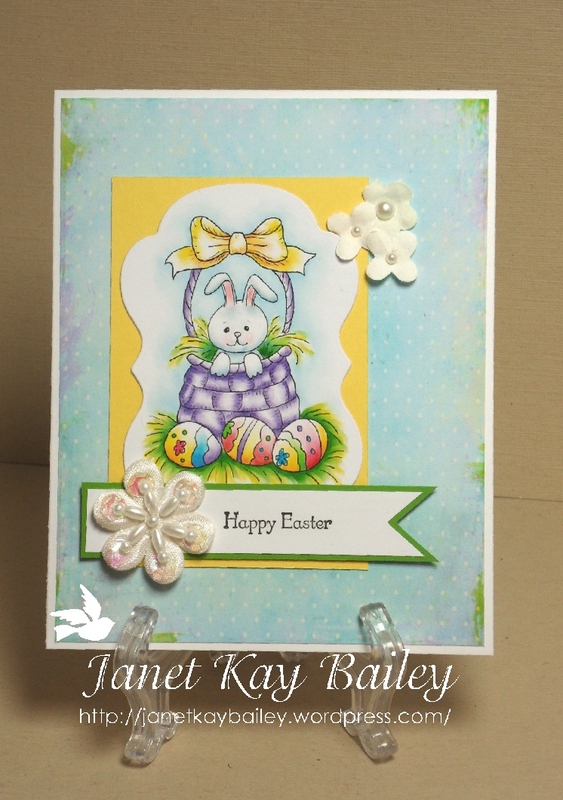 site and ordered the EASTER BLOSSOMS STAMP BRUSH SET as a digital download. The great thing about the My Digital Studio downloads, besides the fact that you can get retired images, is that it’s almost instantly available. You don’t even have to own the My Digital Studio software! I, of course, own MDS , but in this instance I used it in my Print Shop to make it the size I wanted it! How cool is that!? Now for the part that’s not so “simple” for everyone, I made my own paper:) Yep, I have a program that’s called Artweaver. I downloaded the free version;) I took my image of Emma, plus opened a new window. I used the ink dropper to pick up the color from the ribbon on Emma’s dress and used the paint bucket to make my own color in the new window. Ok, I know that sounds hard, and for the first three or four tries, it was, but now it’s easy:) Something to think about;) Let me know if you would like to try it, or the My Digital Studio. Here is the blog hop list in case you lose your way! For those of you still here, I have two more cards! 🙂 Nothing says Spring quite like Daffodils….. unless it’s Tulips, so I have one of each!! 🙂 Both cards use all Stampin’ Up! products, except for the beautiful digital images from the Fred She Said store. These two are from the Spring Flowers & Paper Pricking Frame set. There are two more flowers in the set.